If you smoke cannabis, or you know someone who does, chances are you’ve heard the term “cartridge” floating around lately. We’re here to shed some light on this relatively new technology. In order to create a cannabis “concentrate,” the medicinal and psychoactive constituents of cannabis (cannabinoids and terpenes) are separated from the plant matter by a specialized extraction machine, using a solvent like carbon dioxide or butane. This concentrate is then packaged into the cartridge device itself. The cartridge utilizes a heating element, powered by a battery attachment, to create a vapor that is inhaled by the user through a straw-like mouthpiece. Cartridges, and vaporizing in general, afford some advantages that conventional smoking does not. When you vaporize cannabis products instead of combusting them, you create a thin vapor that is much easier on the lungs than smoking plant matter. Vaporizing also allows you to microdose with greater ease; with cartridges, you are able to take very small hits of the oil, gradually increasing your intake in order to achieve your desired outcome. There is a wide array of cannabis cartridges available, built with different materials, and extracted from different cultivars of cannabis flower using different solvents. Farma recommends consuming cannabis concentrates that were extracted from organically grown flower, and avoiding cartridges that use silica or fiberglass in their construction. Several producers are now creating cartridges in which single-sourced terpene distillations are reintroduced to the cannabis oil, which allows for a more nuanced effect. 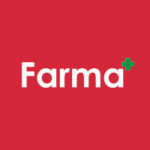 As always, feel free to consult a Farma budtender on the various options available in order to find the right experience for you. Happy vaping!